Next week is the high point of the Christian calendar as we celebrate the resurrection of Jesus Christ from the dead. We call this sacrifice the Gospel – or Good News. I believe it is Tim Keller who reminds us that the Gospel is not advice, it is news. It is the ultimate Good News. He suggests that weekend services are not primarily the place to give advice… Gospel-centered (or Christ-centered) change is rooted in remembrance. We are to remind one another of what Christ Jesus has done, not what we must do. The essence of Christian maturity is when the Gospel – or, what Christ has done — gets worked in – and then through our lives, which is what I’d like to spend our remaining time considering. 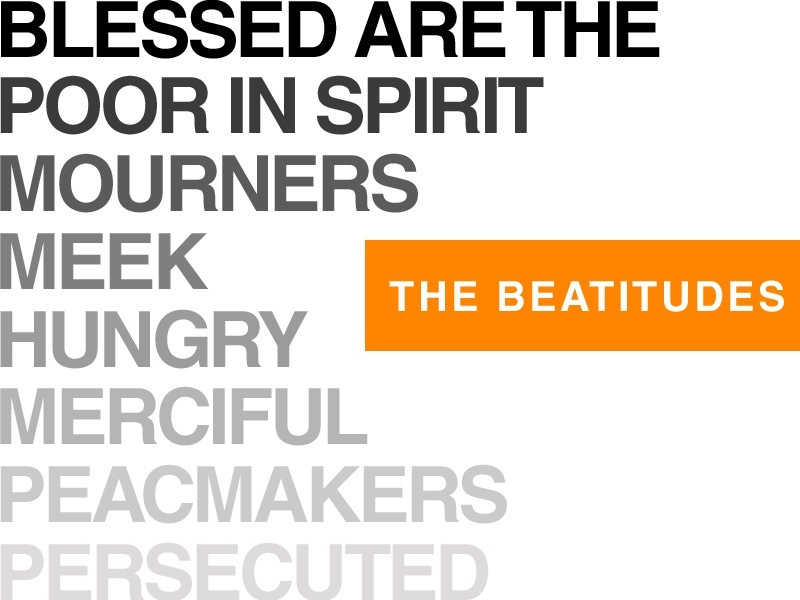 Turn to Matthew 5 where we will take a look at the Beatitudes. While you’re turning, allow me to offer a few introductory thoughts. What is Christian conversion? Christian conversion, or salvation, occurs when genuine repentance and sincere faith in Jesus intersect. Neither repentance nor faith come first – they must come at the same time. Contained in the Beatitudes are eight qualities that characterize the life of Jesus Christ, and therefore, through conversion, they begin to characterize our life in Jesus Christ. Jesus calls us to follow him through life and to depend upon his strength and power. With the beatitudes, Jesus dives into our innermost being probing the heart and raising the question of motive. What made Jesus a threat to everyone and the reason He was eventually killed was that in His encounters with people (particularly the religious leaders), He exposes what they were on the inside. Some people find it liberating – others hate it. The Beatitudes, I have come to see, are our surrendered response to the Gospel. I view the Beatitudes as a step-by-step spiritual formation process that moves us toward spiritual depth and maturity. This becomes cyclical as we grow deeper and deeper in our faith. The Beatitudes become the outworking of the Gospel in and through our lives. 5“Blessed are the meek (gentle), for they shall inherit the earth. 10“Blessed are those who have been persecuted for the sake of righteousness, for theirs is the kingdom of heaven. c. What does it mean to be “poor in spirit”? A desperateness of soul that is weary of living in it’s own strength and longs for God’s mercy and grace to come and refresh the soul. In a word, it is DESPERATION. 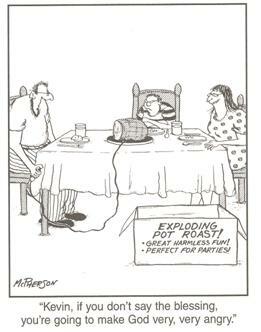 #3 – My own dumb choices. b. As we are honest about the sin that has infected us there will be a transforming grief and accompanying repentance, that surfaces – not only for our own lives, but also for the injustice, greed, lust, and suffering that grips our world. c. I want to own my sin everyday. f. The gospel has the greatest potential to captivate us when we understand that we are more depraved than we ever realized and simultaneously more loved that we ever dared to imagine. g. I don’t mind inviting you to question your own salvation today. If our default mode is, “I’m basically a good person…” then we simply have not understood the gospel. b. The concept of meekness describes a horse that has been broken. We can either surrender to Christ and invite the breaking, or remain the undisciplined and wild stallion. c. Grieving over sin and suffering grows meekness in us and delivers us into a humble learning posture (disciple means learner). a. Mercy is entering into another persons feelings – attempting to see things from another person’s perspective – all with understanding AND acceptance…just like Jesus has done for us. b. As we receive God’s mercy we begin to give mercy – to ourselves and to others. a. Mercy cleanses our heart and restores purity to our lives. b. Did you know that your (spiritual and emotional) virginity CAN be restored? a. Purity gives way to a personal serenity and peacefulness. Peace is not the absence of conflict, but the absence of anxiety in the midst of inevitable conflict – and when others encounter it, they want it too. b. Our Western concept of peace needs to be considered in the light of the ancient Hebrew concept of peace, which is SHALOM — and means more than our limited understanding of peace (i.e., the lack of conflict). Biblical SHALOM speaks of a universal flourishing, wholeness and delight; a rich state of affairs in which natural needs are satisfied, natural gifts a fruitfully employed — all under the arc of God’s love. Shalom is the way things ought to be. c. There is a difference between a peacemaker and a peacekeeper. Many of us live out our lives with this false peace and say nothing or do nothing to change it—in churches, homes, work places, and our marriages. (i) A family member makes a scene at a family gathering. It embarrasses you, the rest of the family, but you say nothing. You keep the peace because to go there would unearth a lot of stuff that you just aren’t willing to deal with. (ii) Your spouse makes insulting remarks to you or humiliates you publicly through critical tone of voice. It grates on you. But you keep silent because you want to keep the peace. d. We struggle with this false peace because the conventional wisdom of the day is that its better to keep the peace than to make the peace and there is a very real difference. e. Keeping this false peace insures that real issues, real concerns, and real problems are never dealt with. f. A façade, or veneer, of peace in that there is calm but the reality is the tension is still there. g. True peacemakers will challenge and disrupt the false peace. h. Jesus didn’t have a problem disrupting the false peace of his day. m. True peacemakers will steward the conflict they find themselves in because God will often use conflict to develop things in our lives that are developed in no other way. 8. Blessed are the persecuted… Living life from a kingdom of God perspective will place us in conflict with those that oppose it (often times it’s “religious” people!). Without the knowledge of our extreme sin, the payment of the Cross seems trivial and does not electrify or transform. But without the knowledge of Christ’s completely satisfying life and death, the knowledge of sin would crush us – or move us to deny and repress it. By walking the way of the Beatitudes we hold our depravity and the Cross in a healthy and dynamic tension that will lead to transformation and renewal. Wayne Gudem, Systematic Theology, p. 713. When all the forces of hell seem to be raging about you — in your body, heart, or mind— when you can’t trust in your own ability to keep yourself securely tucked away under his wings, remember: no one and nothing is able to pry his hand open or keep his betrothed from his love. We persevere because of God’s invincible love. Hosea saw the relationship between God and Israel as that of a husband with the attendant attributes of commitment, righteousness, justice, lovingkindness, compassion, and faithfulness. Through this enacted prophecy Hosea learned that at the core of the covenant is God’s profound love for his people. God seeks a response of surrender that will lead to a deep and abiding intimacy with God. Hesed occurs 176 times in the Old Testament from Gen 19:19 – Jonah 4:2, 121 times in the Psalms (or 70%). The most significant feature of this term is that God gives hesed to us in absolute freedom. Whether it’s God or people acting in lovingkindness, hesed is given of the “helper’s” own free will. Additionally, hesed always argues for loyalty of love. Hesed can be difficult to translate into English because embedded in it’s meaning is the unbreakable covenant bond that God initiates with his people. A good, working definition of hesed is: the covenant, consistent, relentless, pursuing, lavish, extravagant, unrestrained, loyal, and one-way love of God. The promises God makes are not conditional. God is NOT saying, “If you do this, then I will do that.” There are no “if’s” in these promises of God. There are no time limits, no cancellation clauses. And so, while hesed has the feelings of love, kindness, mercy, and affection it is defined primarily by the unconditional steadfast, loyal, and trustworthiness of God’s covenant with his people. In the Old Testament, God’s anger and wrath is expressed within the constraint of the unbreakable covenant bond, and is for the purpose of restoring the mutuality of that bond. While God’s covenant bond is unbreakable and unconditional, it is not an “anything goes” relationship. It is a bond that has a purpose: so that we will be a blessing. And the nature of this blessing is justice: right relationships with all – as well as harmony and well-being for all (SHALOM). Pastor and author Rob Bell has an interesting take on God’s wrath. He says the problem we face is not that God is angry with us, but that we think God is angry with us. Thus, Jesus’ purpose wasn’t to change God’s mind about us, but to change our mind about God: to notify us of God’s lack of anger and to free us from the prison of our misconceptions so that we can truly live well. The place of church and religious ritual is to remind us of our standing with God and freedom to live lives of sacrifice and service. What do YOU think? Elyse Fitzpatrick, A Steadfast Heart, P&R 2006: 77. Norman D. Snaith, Mercy and Sacrifice. A Study of the Book of Hosea, SCM Press, 1953: 40, 52. Van Gemeren, Willem, A. Interpreting the Prophetic Word, Acadamie 1990: 114. Harris, Archer, & Waltke, 1980. Rob Bell, “the god’s aren’t angry” Tour, 2007. Bell would say that God’s wrath is more about passion than anger. This is an outline for a sermon to be delivered on 10/10/10. This outline is way too long for the time allotted, so I am placing it here for reference. 1. Christian conversion, or salvation, occurs when genuine repentance and sincere faith in Jesus intersect. a. As we turn to Christ for salvation we turn away from the sin that we are asking Jesus Christ to forgive us from. b. Neither repentance nor faith come first – they must come at the same time. 3. Repentance and faith are two sides of the same coin. C. So, there is an initial repentance (with faith) that leads to salvation, but what does life-style repentance look like in the life of a believer? E. For those of us who have read Pete Scazzero’s book, The Emotionally Healthy Church, we remember that the 3rd principle of the EHC is to live our lives in brokenness and vulnerability. 2. At best, life-style repentance is counter intuitive to our normal way of thinking. 3. One of my favorite authors on the subject of life-style repentance is Dan Allender. a. With reference to the parable of the Prodigal Sons (in Luke 15), Keller says that we don’t only need to repent for things we have done wrong, but that we also need to repent of the things we’ve done right! – or, under our own power. He notes that the older brother said he had never disobeyed his father and his father did not dispute this. Keller calls the sin of seeking to be our own Lord and Savior. b. The purpose of gospel repentance is to repeatedly tap into the joy of our union with Christ in order to weaken our need to do anything contrary to God’s heart. H. Repentance is one of the great privileges of the unconverted as well as the Christian. Why do we usually postpone repentance until after nothing else seems to be working?? B. The overarching theme of Hebrews is that the implications of the Christ Event are superior to Judaism. C. The author moves seamlessly between teaching doctrine and exhorting (meaning to draw near – cheerleader) (or application). This is distinctive from Paul’s style, which is to teach doctrine in the first section and save exhortation/application for the second section. 1. Context: If we had to boil down the book of Hebrews to a one-word description, the word would be perseverance. It is thought to have been written by a pastor to his congregation, who were struggling to hang in there. 14Pursue peace with all [men], and the sanctification without which no one will see [to see with perceptive insight – the author is speaking about an Aha! moment] the Lord. 16 (3) that there be no immoral or godless person like Esau, who sold his own birthright for a single meal. 17For you know that even afterwards, when he desired to inherit the blessing [Esau was double-minded – we tend to want the glory of God w/o the discipline of God], he was rejected, for he found no place for repentance [NIV – he could bring about no change of mind], though he sought for it with tears. F. Listed in this passage are (at least) 6 instructive admonitions to biblically engage a lifestyle of repentance. b. Peace: from a primary verb eiro (to join or bind together that which has been separated). d. We tend to think of peace as the absence of conflict, yet biblical SHALOM is MUCH more than that…SHALOM means the knitting together of God, humankind, and all creation in equity, fulfillment, and delight. e. I once flew from Reno, NV to Tulsa, OK and then rented a car and drove 3 hours just to ask someone’s forgiveness after reading Matthew 5:23-24 and taking it to heart. 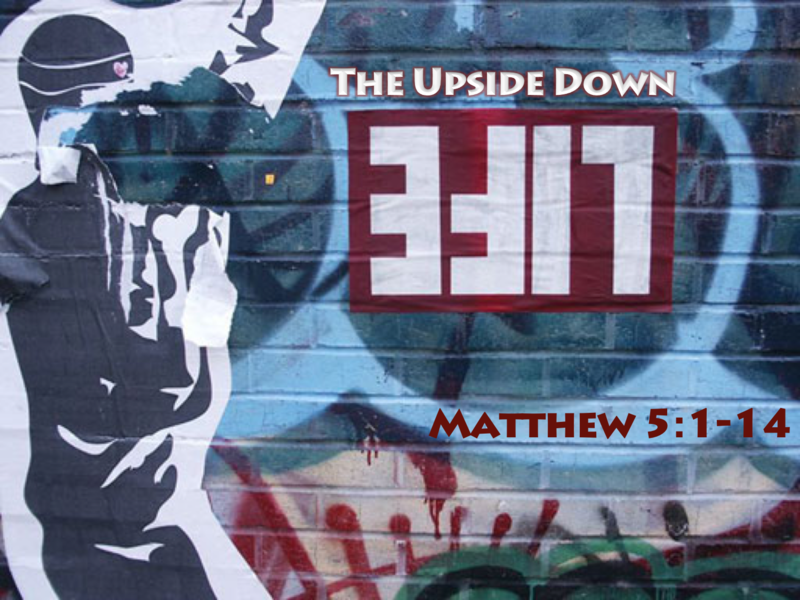 c. The prayer Jesus taught us is a prayer of community and reconciliation, belonging to a new kind of people who have left the land of “me” … Here our God teaches us the interconnectedness of grace and liberation in a new social order. e. …We form habits of hoping that our lives will look more like God’s life. And at the same time, we give ourselves over to an extended family of all God’s children, in which we learn to give ourselves as Christ gave himself for us. f. As we’ve talked with God this way, we’ve also begun to see that we gain a community of others who are learning to give themselves for us. Which is another way of saying that we find our lives in Christ. We become the kind of community that is the answer to our request: Make your name holy, Father, by bringing your kingdom here on earth. Christian community is the gift of a life that is worthy of God’s name. Forgetting our- selves, we become the sort of joyful people who hallow God’s name by how we live with one another. i. Sanctification means to be set apart for God’s purpose. j. Notice the word “present.” That’s where it starts – it’s not about ability, its about surrender. k. Esau was rejected by God because he steadfastly refused to serve the purpose of God and instead served his lust for the immediate and the tangible. b. Grace: All that God is lavishly poured into you. If God has acted lavishly toward you, could you not be lavish to others? d. Jerry Bridges, in his masterpiece Transforming Grace says, “The idea portrayed here is analogous to the ocean waves crashing upon the beach. One wave has hardly disappeared before another arrives. Deposit grace into each other’s account. c. Like a small root that grows into a great tree, bitterness springs up in our hearts and overshadows even our deepest relationships. d. A “bitter root” comes when we allow disappointment to grow into resentment, or when we nurse grudges over past hurts. Bitterness brings with it jealousy, dissension, and immorality. Peter Scazerro speaks to this in his book, The Emotionally Healthy Church – as differentiated people we fully enter into another’s world while holding on to ourselves and live in the tension of the two. b. pornos – when we lust, we stop loving. c. Esau found no place for repentance (metanoia), though he sought for it with tears. d. We usually associate tears with repentance. And it’s true that tears very often accompany true repentance. But here we have the instance of Esau crying for repentance but not finding it. Why? Esau was in relentance, not repentance. Both men committed the most grievous sins of their lives that night – Judas betraying Jesus and Peter denying Jesus. Yet Judas committed suicide and Peter was ordained into the ministry about 2 weeks later. What’s up with that??? Judas relented (or lamented), while Peter repented. Judas said “no” to forgiveness, while Peter said “yes” to forgiveness. Judas said “no” to the future, while Peter said “yes” to the future. b. I want my heart to remain soft and pliable before the Lord through humility, honesty, and integrity – quick to confess and forsake my sins. c. I want to live my life in grateful surrender to the plans and purposes that God has ordained for my life. d. I want to experience the blessings of being in right relationship with the King of Kings and the Lord of Lords, as well as exalted joy and true happiness – through the privilege of repentance. B. The results, or the fruits, of repentance are a series of freeing movements in our lives that return us to the wonder of the cross. Ruth Haley Barton, Strengthening the Soul of Your Leadership: 53. CS Lewis, Mere Christianity: 44. Larry Crabb, Inside Out: 213-214, 196. Tim Keller, Prodigal God: 78-79. Thomas Watson, The Doctrine of Repentance, Banner of Truth 1999: 18. The Christ-Event is fivefold: (1) the virgin birth, (2) the miraculous ministry, (3) the shameful death, (4) the glorious resurrection, and (5) the triumphant accession of Jesus. Each of these facets of the incarnation, over a 33-year period of time, inaugurate – or establish – the kingdom of God upon the earth. Louis Evans Jr., Hebrews: The Communicator’s Commentary Vol. 10, Word 1985: 233. Shane Clairborne & Jonathan Wilson-Hartgrove, Becoming the Answer To Our Prayers: Prayer for Ordinary Radicals, IVP 2009:18-31. Simone Weil, Waiting for God, Harper 2009: 217. Lewis Smedes, “How Can It Be All Right When Everything Is All Wrong?” Christianity Today-Vol. 39, #13. Donald Miller, Blue Like Jazz: 83-85. Dan B. Allender, Tremper Longman, Dreams and Demands: 62. 14Pursue peace with all [people], and the sanctification without which no one will see the Lord. 17For you know that even afterwards, when he desired to inherit the blessing, he was rejected, for he found no place for repentance, though he sought for it with tears. Jacob and Esau were the twin sons of Isaac and Rebekah (see Genesis 25:19-34), as well as grandsons of Abraham and Sarah. 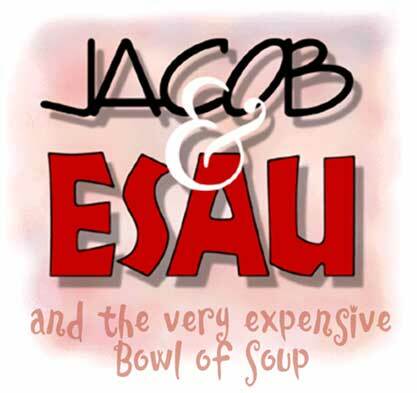 Esau sold his birthright to his younger brother Jacob for a meal. (The birthright meant eventual headship of the family and a double share of the inheritance.) He also sought for repentance with tears but he could not (allow himself?) get there and was rejected by God. Why? I believe that the writer of the letter to the Hebrews displays deep prophetic insight into Esau’s psyche and identifies specific hindrances to Esau’s repentance. Repentance, is sometimes a last ditch effort to comply with our perception of God’s standards in order to avoid God’s wrath and punishment. However, the above description would more accurately characterize relentance and not repentance. In reality, repentance is one of the grand privileges of the Christian faith. So what is true biblical repentance? 1. Pursue peace with all people (v.14) – [To run swiftly in order to catch] [Peace — the harmonized relationships between God and humankind, the sense of rest and contentment. The corresponding Heb. word shalom primarily signifies “wholeness:”] Roms 12:18 – If possible, so far as it depends on you, be at peace with all [people]. 2. 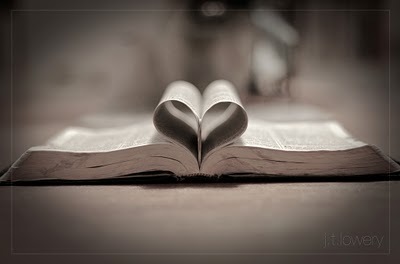 Pursue sanctification (v.14) – [Sanctification is to set apart our heart’s and life for God’s purpose.] Esau was rejected by God because he steadfastly refused to serve the purpose of God and instead served his lust for the immediate and the tangible. 5. Immorality (v.16) — Proverbs 5:9 tells us that in immorality, “you give your vigor to others and your years to the cruel one” (Satan). Hardly worth it for a few moments of sensual gratification. Esau found no place for repentance, though he sought for it with tears. I want my heart to remain soft and pliable before the Lord through humility, honesty, and integrity – quick to identify, confess, and forsake my sins. I want to live my life in grateful surrender to the plans and purposes that God has ordained for my life. I want to experience the blessings of being in right relationship with the King of kings and the Lord of lords through the privilege of repentance! This concept has come to be know as “walking in brokenness and vulnerability.” It is the counterintuitive way of the Christ-follower – and the unlikely route to joy (a chapter title in Allender’s book).